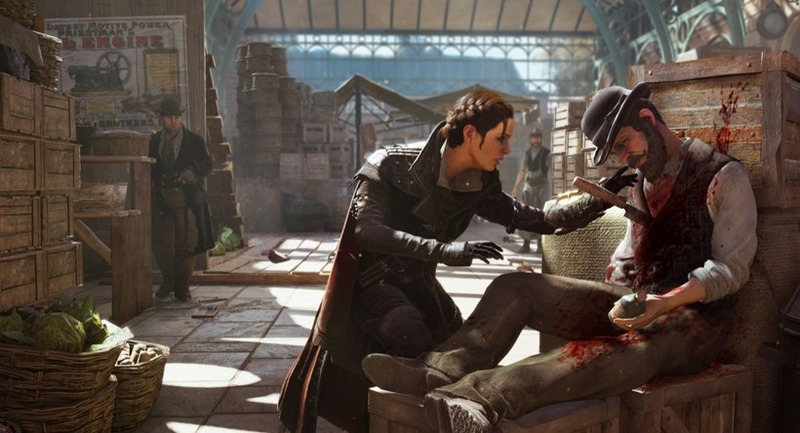 2014 was a bit of a mixed bag for the Assassins Creed franchise. Unity launched on current gen consoles to mediocre reviews. Rogue, a completely separate title, landed on older hardware (and PC earlier this year), and score a little better, but not by much. 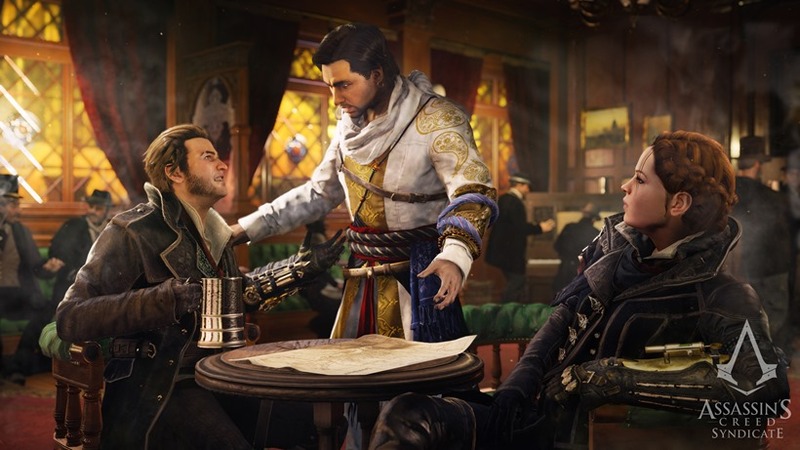 Regardless, Ubisoft are carrying the franchise forward, changing up the scenery and setting once more in the process. This year’s title, Syndicate, ditches America and France in favour of London, England. I got some hands on time with the game at Gamescom, and damn is it miserable. Not the gameplay mind you, but the actual setting. 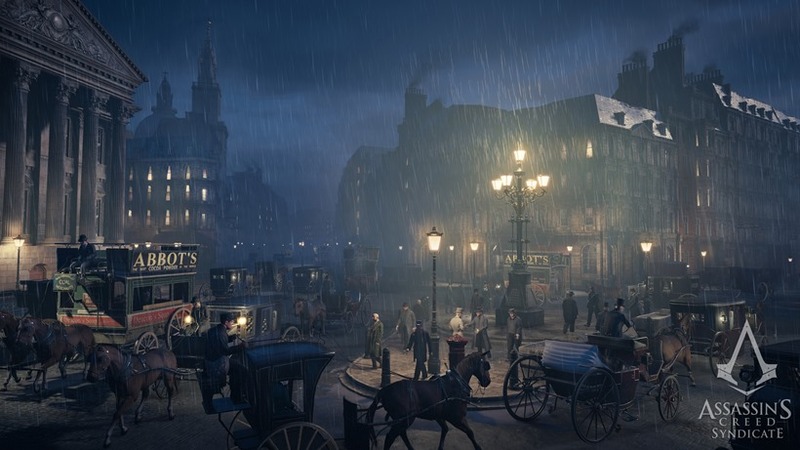 Victorian London looks like a dreary, terrible place – one filled with danger around every corner. The segment of the game I got to play had me arriving by boat, amidst the mournful sound of violins being played by musicians nearby, on the outskirts of the Tower of London. The intimidating structure sits there innocently, begging to be scaled and explored, yet I know it’s filled with all kinds of danger. I’m playing as Evie, the more sneaky of the game’s two playable protagonists. Her brother, Jacob, is better in a fist fight. Evie however, excels at stealth. This is not to say that she can’t look after herself in the event of a spontaneous scuffle, because she definitely can. She’s just a lot better at sticking to the shadows. In the session, I got to explore one of the game’s black box missions. The idea behind these gameplay segments is that a player is presented with an objective, and it’s up to them to decide how best to go about completing it. This particular mission asked me to assassinate Lucy Thorne – a Templar seeking an important relic. She sits in a building pretty much in the heart of the Tower of London. Getting to her is going to be problematic. This is the point of black box missions though. There are multiple ways to reach the end goal. It’s just a matter of deciding which way will work best (based on personal preference I suppose). As I accept the mission, a quick flash of events takes place, showing me what some of these options are. I opt for the latter and set off. I use the game’s new grapple hook to get along from roof to roof as easy as pie. While certainly a cool mechanic, I feel this detracts from the overall Assassins Creed experience somewhat. Isn’t part of the experience in this franchise to, you know, enjoy the satisfaction of successfully climbing a building and avoiding detection? It felt very much like I was playing any of the recent Batman titles, albeit in the soggy, rain riddled London. This really may not be a problem for some though. If anything, it does speed up travelling around quite nicely, meaning I got to my impostor contact in a blink of an eye. He tells me of a plan to sneak me into the target building, but first, I need to meet him at the white tower because REASONS (that I honestly cannot remember). I decide to play the more traditional way – sneaking along at ground level, avoiding detection as best I can. Seeing as this is Evie’s specialty, it’s not too difficult to get around. She has a chameleon ability. Enabling it and standing still makes her near invisible. One should, in theory, be undetectable. I on the other hand, eager to make the most of my limited time with the game, rush along and inevitably, get spotted. I was forced to fight, meaning I got to see first hand how great Evie is at dishing out some pain. Being pretty inexperienced however, I was soon swarmed by a mob of enemies… far too many to eliminate. I take to the skies with my grapple hook, thinking I will leave my problems far behind. Problem is, the guards are insanely persistent, and constantly pursue me even though I feel like I have long reached safety. Alas, I was no match for them and their silly looking bearskins. They eventually surrounded me, and I met my death. This didn’t phase me really, as the gameplay session has just about ended. 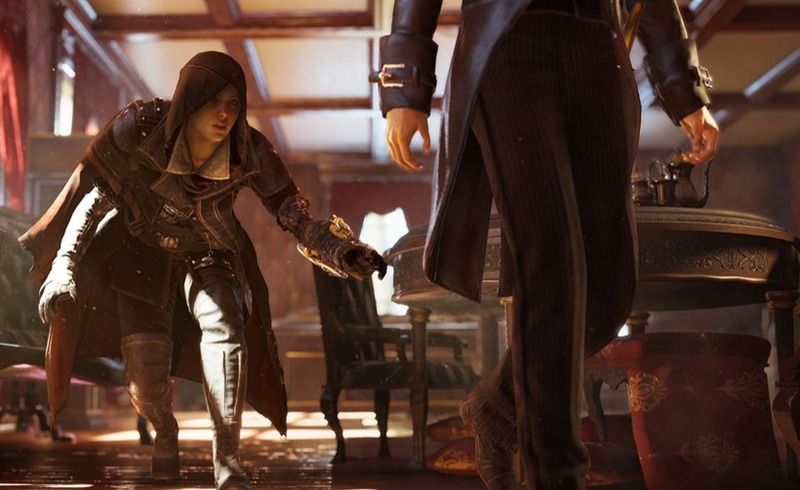 Time aside, Assassin’s Creed Syndicate, new setting and all, didn’t really grab me. I don’t know why exactly. I mean, it ticks all the right boxes for a brand new game. Maybe it’s because I dislike the grappling hook, or perhaps it’s because of Assassins Creed fatigue. There just doesn’t seem to be that magic the series once had. I really do hope Ubisoft prove me wrong though. Victorian London is a fantastic, awesome era to explore! 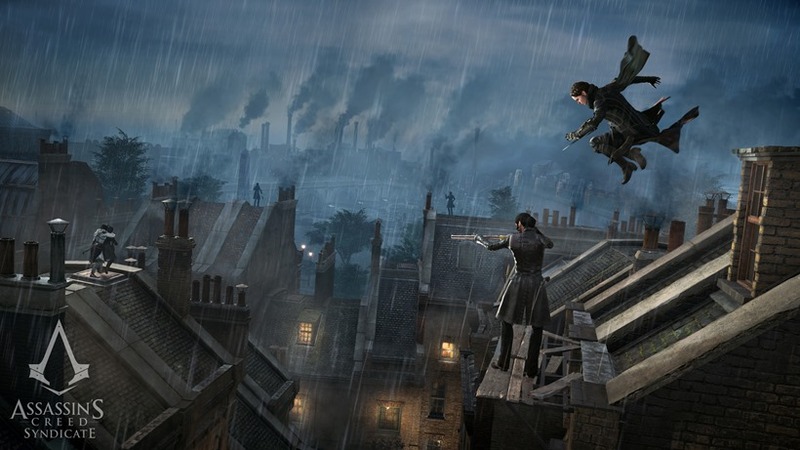 I just hope the gameplay and such in Syndicate make it fun and enjoyable to do so. Next article FFD: Is sharing caring?